Lincolnshire Police are appealing for any information and sightings of a black Vaxuhall Corsa after the car failed to stop near Mablethorpe this morning (Monday, April 15). 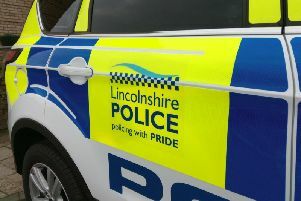 A Lincolnshire Police spokesman said: “We are appealing for information and sightings of a black Vauxhall Corsa with the registration plate BT05 UVE, following an incident where the vehicle failed to stop this morning (April 15). “At 2.35am officers were on the A52, Sutton Road, at Trusthorpe near Mablethorpe, when an attempt was made to stop the vehicle. “The Vauxhall Corsa failed –to-stop and then rammed into the police vehicle. If you have seen this vehicle, or have any information regarding the vehicle, or the owner, please contact Lincolnshire Police on 101 quoting incident 19 of April 15. Alternatively you can email force.control@lincs.pnn.police.uk quoting incident 19 of 15/04 in the subject line of your message.